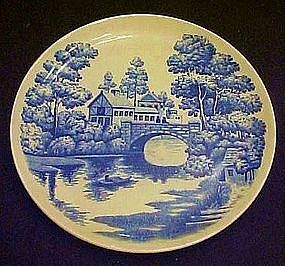 Nasco Japan, luncheon plate has a pretty old lake and mill stream scene with trees and a man in a boat. All blue transfer on white. THis plate is not perect, it has some crazing and two very small hairlines on the edge. Still good and useable.